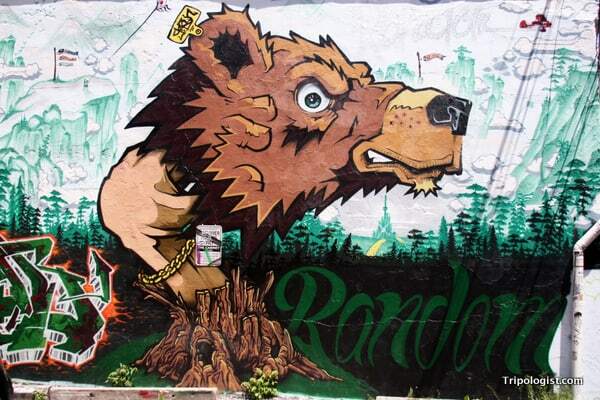 Once considered the scourge of cities, graffiti is becoming a more and more accepted form of art. However, this isn’t the kind of art that you’ll see in a museum. Instead, to find the best graffiti, you have to look in hidder corners, under bridges, and even back alleys. 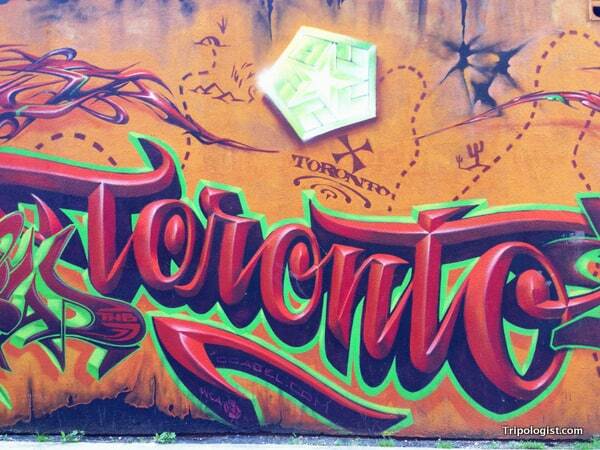 Toronto is one of the best places to search for graffiti in North America. So, while I was in the city for TBEX, a travel bloggers’ conference, I took the opportunity to meander down one of the best places to see graffiti in Toronto: Graffiti Alley. 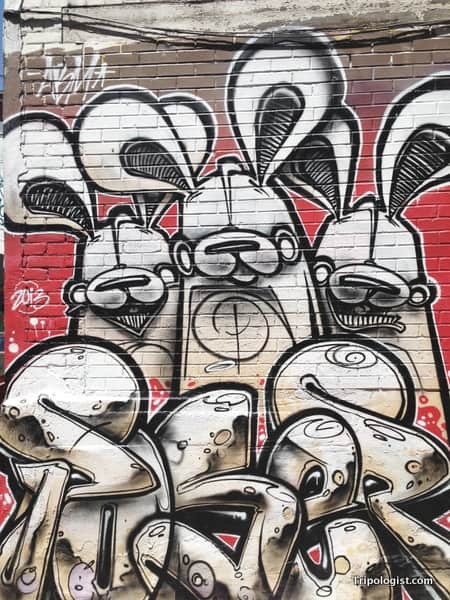 Known formally as Rush Alley, Graffiti Alley is located half a block south of Queen Street between Spadina and Portland Streets. In many ways, Rush Alley is a typical backstreet that you could find anywhere in Toronto. Trucks park behind handleless doors, unloading food and merchandise into restaurants and shops with fronts located along the chic Queen Street. Further down the street, overflowing trash cans line the walls, surely the domain of scurrying rats once night falls. During the day, however, a stroll down Rush Alley is a visual treat. From cartoon characters, to paintings so realistic that they seem to jump off the wall, there is something for everyone. A strange but awesome piece of graffiti along Toronto’s Graffiti Alley. 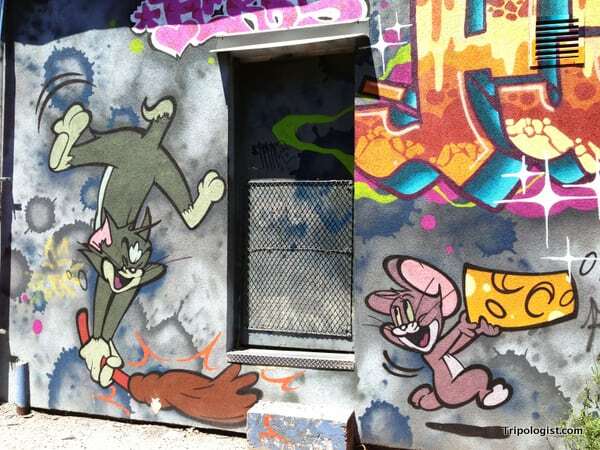 Tom and Jerry Graffiti along Toronto’s Graffiti Alley. A slightly odd collection of sadistic bunnies. 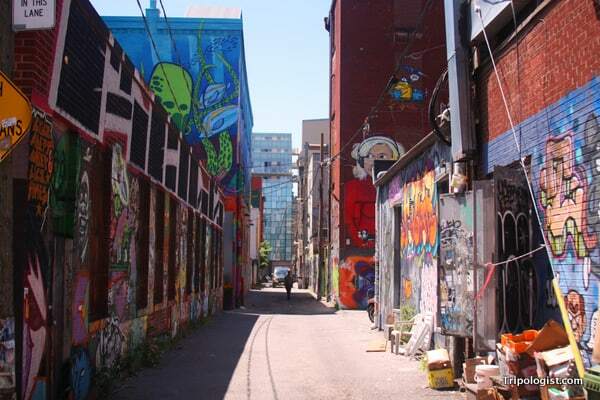 An otherwise normal back street, Graffiti Alley is one of the best places to view graffiti in Toronto. 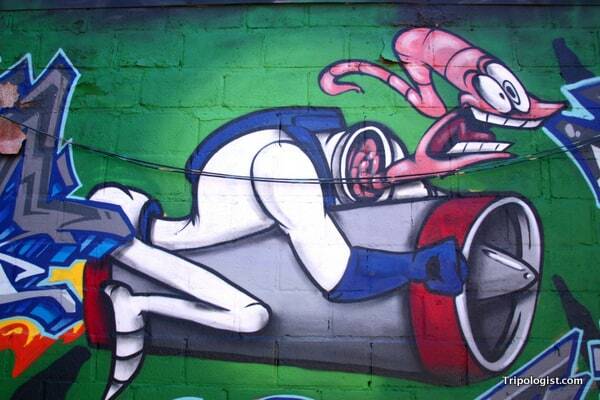 Earthworm Jim riding a rocket through Graffiti Alley in Toronto.